If I said it here once, I must have said it a hundred times: I have really red and sensitive skin that can be a nightmare to buy products for, especially skin care. That is why I am such an advocate of Clinique and have been wearing their stuff for years. Their redness range works quite well with my skin, although I have realized in the past months that I am better off with a facial wash rather than a cream which requires cotton wool. 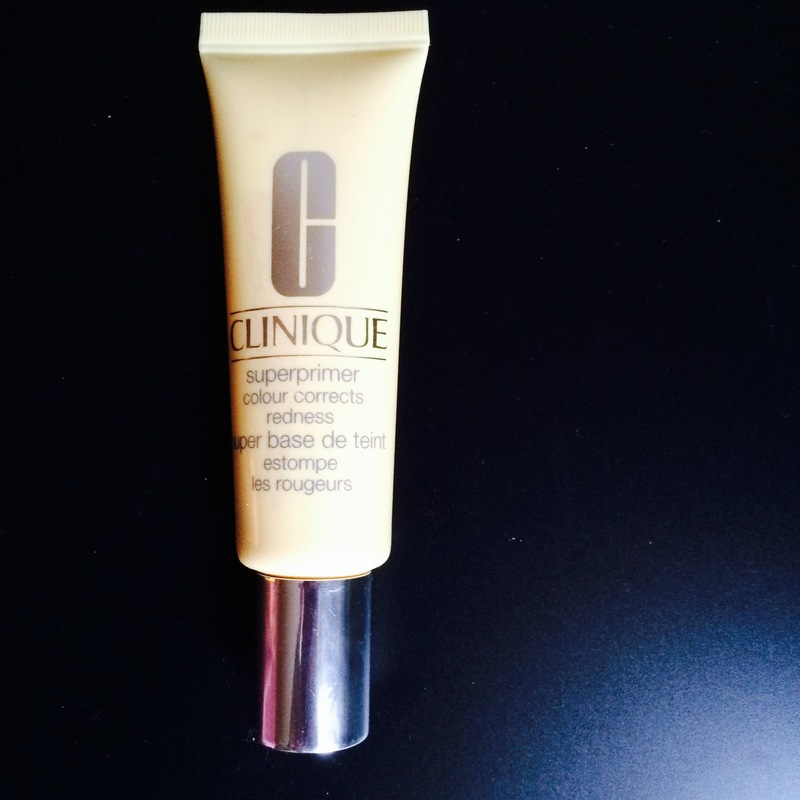 So, when I saw the Clinique Superprimer Colour Corrects Redness, I knew I just had to give it a try. Besides my skin being very red, I also have a problem with keeping make-up on my face. Foundation usually wears off my T-zone, especially my nose, after a few hours of wear. To be honest, this is not a major problem for me, but there are times I would like to keep my make-up intact for a little longer than a few hours. In theory, this product should have been perfect for me. What does the product claim to do? Well, according to the Clinique website, it creates “an ideal make up canvas”, “colour corrects” and allows foundation to “glide on evenly”. Unfortunately, this was not my experience. I will give it some credit for correcting the red tones on my face. It did make a difference in neutralizing the tones to better match my foundation. However, for me personally, the product failed in regards to its other two claims. I think the main reason why the primer did not work for me was because it really dried my skin out. It felt like it dried out my skin as soon as contact was made and I often found it hard to rub in, no matter how much moisturizer was applied beforehand. I didn’t really like the texture for this reason. It made me feel uncomfortable which in turn eliminated any “lightweight” feeling it should have. Then, because it made my skin so dry, my foundation did not blend properly and was instead quite flakey and patchy looking. As a result, this is a product I would not add to my make-up collection again. I was a much bigger fan of the City Block Daily Face Protector as a primer, so will more likely buy that instead. Have you used some disappointing products recently? I feel bad for you! I hope you will have better luck next time. I did a review on Clinique’s Sonic Purifying brush and it worked really well for me. Yeah, it was disappointing. I am sure I will find something that works though. The brush sounds interesting! Yes it is! I did a short review on it and it is cheaper than the Clarisonic!